Scale: 1:24. 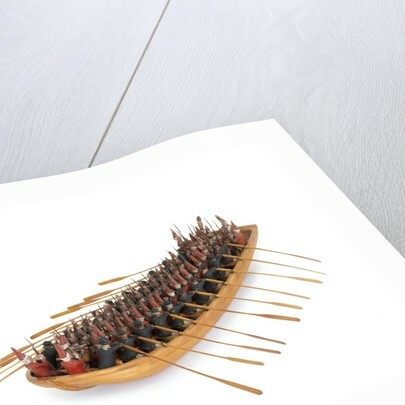 A contemporary full hull model of a flat-bottomed troopboat (circa 1758), built in the Georgian style. The model is decked and equipped. 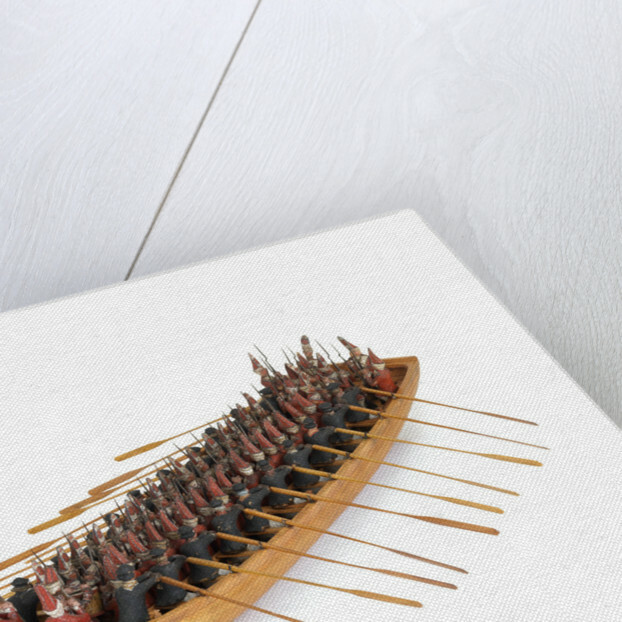 It contains 65 figures (including 20 oarsmen). 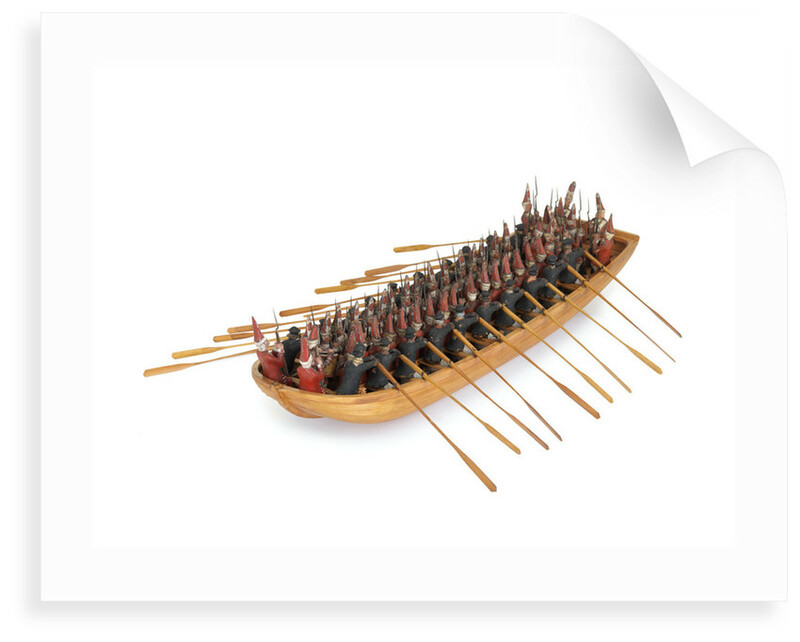 This is one of a series of contemporary models showing how troops were transported for landing. 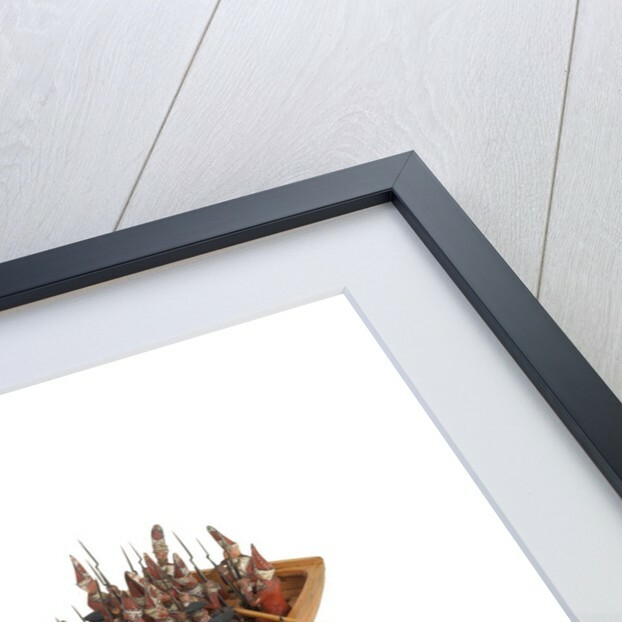 The oarsmen sat on small thwartship benches. The oars were rowed against the thole pins placed in the gunwales. A swivel gun was usually mounted on the stem-piece, as in this model and sometimes a small cannon was placed in the slide, aft. All the interior fittings were detachable so that the boats could be carried in the transport. This troopboat has a square transom as opposed to those with a round stern (see SLR0499). These clinker-built 18th-century troopboats were carried in specially adapted transports chartered by the Admiralty, and were used in landing operations on enemy shores. Landing was by means of a portable ramp carried in the bows. Many were used in raids on the French coast in 1758 and also at the capture of Havana and St. Lucia. Thirty were employed for the spearhead of WolfeÃ”Ã²Ã¡â”œâ”‚â”œÂ½â”œÃ¶Ã”Ã¶Â¼â”œÂ½â”œÃ†â”œâ”‚s attack on the Heights of Abraham, 1759.